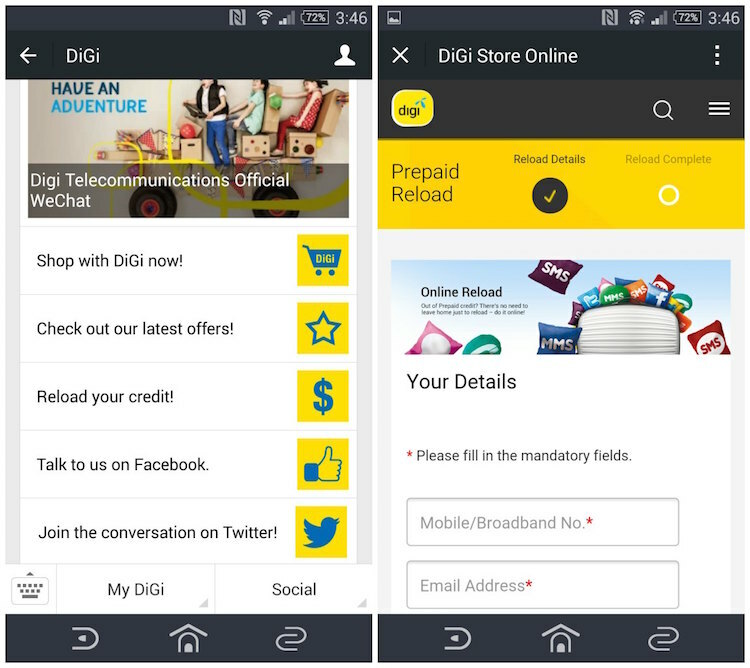 Digi just unveiled that they have partnered with WeChat to launch a self-serve channel within the chat application. 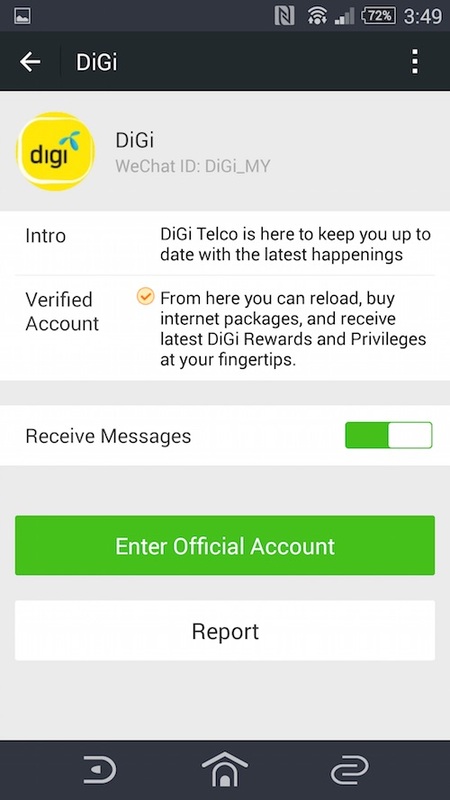 Digi subscribers can now subscribe to Digi on WeChat, and easily manage your account and enjoy other benefits form the telco. On your WeChat, connect to Digi’s Official Account, DIGI_MY), and you can perform various transactions like checking your Digi account status, purchase internet quota, check out rewards by Digi, and even connect with Digi via its social networks. 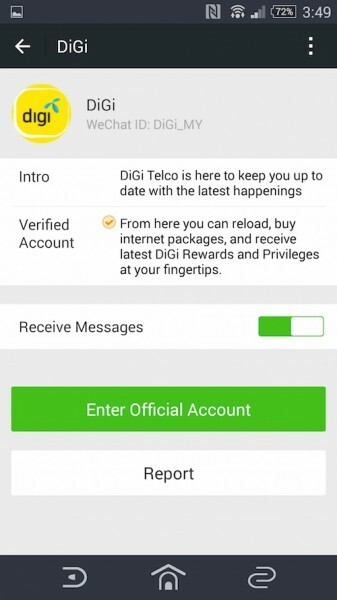 The service is free for all WeChat users, and to make things even better, WeChat is available for free for Digi customers who are on the Weekly and Monthly Prepaid Mobile Internet data packages, so you can easily manage your account on WeChat without using up the data quota from your plan. “Our reason for choosing to work with WeChat was simple: WeChat is more than just a messaging app. It has social elements and other functionality, which allows us to reach out to a wide audience. Digi’s WeChat Official Account is not merel a marketing platform; instead, through this partnership, we have integrated functionality with a clear focus of helping us serve our customers better interactively through the features made possible by WeChat.” – Praveen Rajan Nadarajan, Head of Digital Services in Digi. 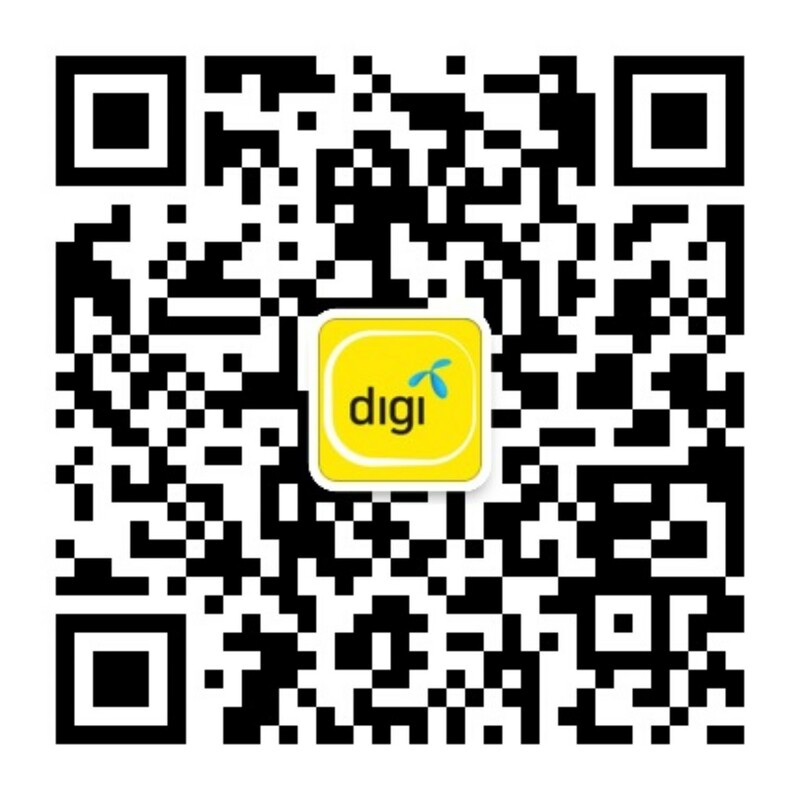 To get connected, simply search for DIGI_MY on WeChat. Alternatively, you can also scan the QR code below via your WeChat app.